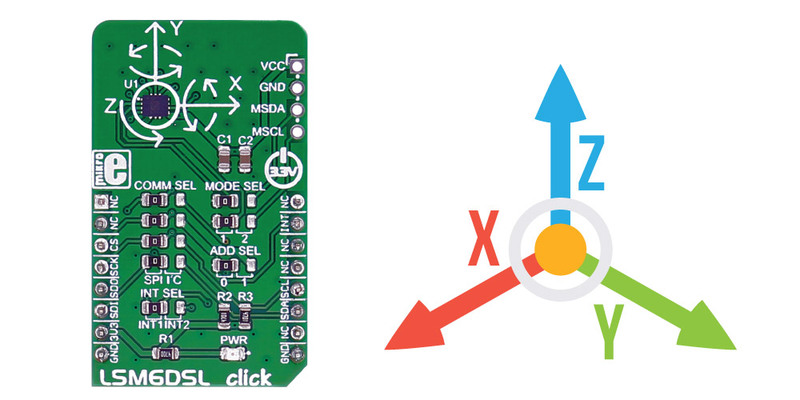 Mode 1: I2C slave interface or SPI serial interface is available. 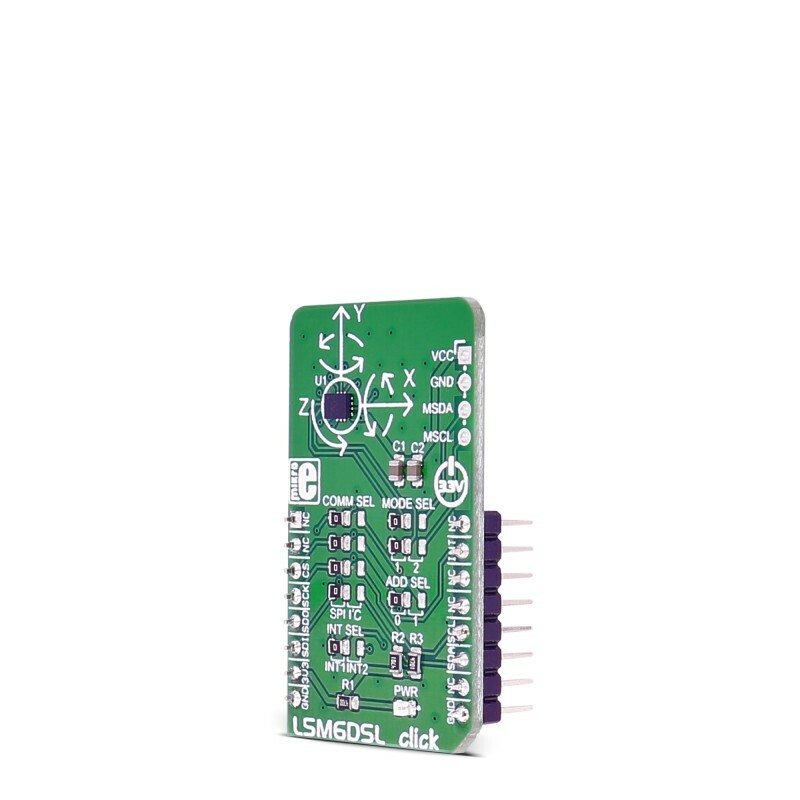 Mode 2: I2C slave interface, or SPI serial interface and I2C interface master for external sensor connections, are available. 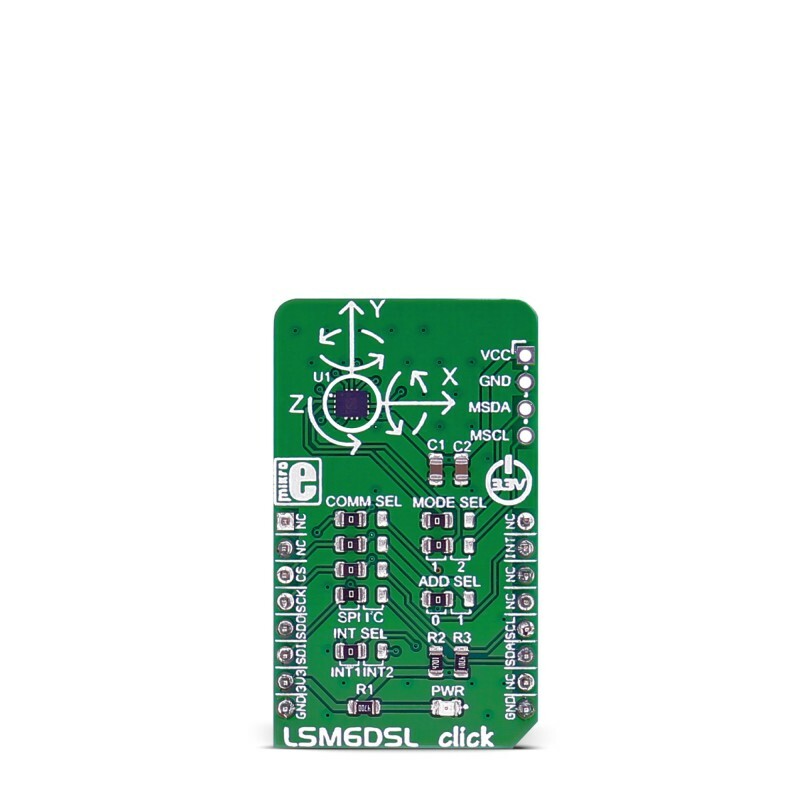 The LSM6DSL is a system-in-package featuring a 3D digital accelerometer and a 3D digital gyroscope performing at 0.65 mA in high-performance mode and enabling always-on low-power features for an optimal motion experience. 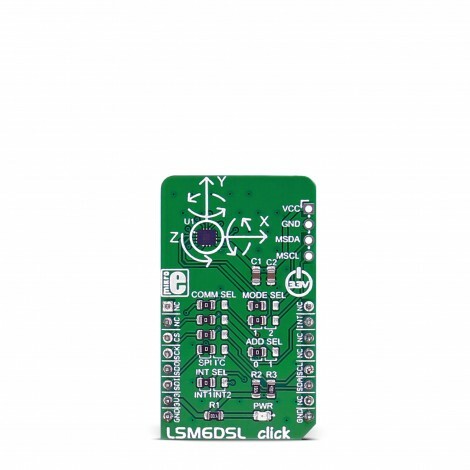 The LSM6DSL has a full-scale acceleration range of ±2/±4/±8/±16 g and an angular rate range of ±125/±245/±500/±1000/±2000 dps (degrees per second). 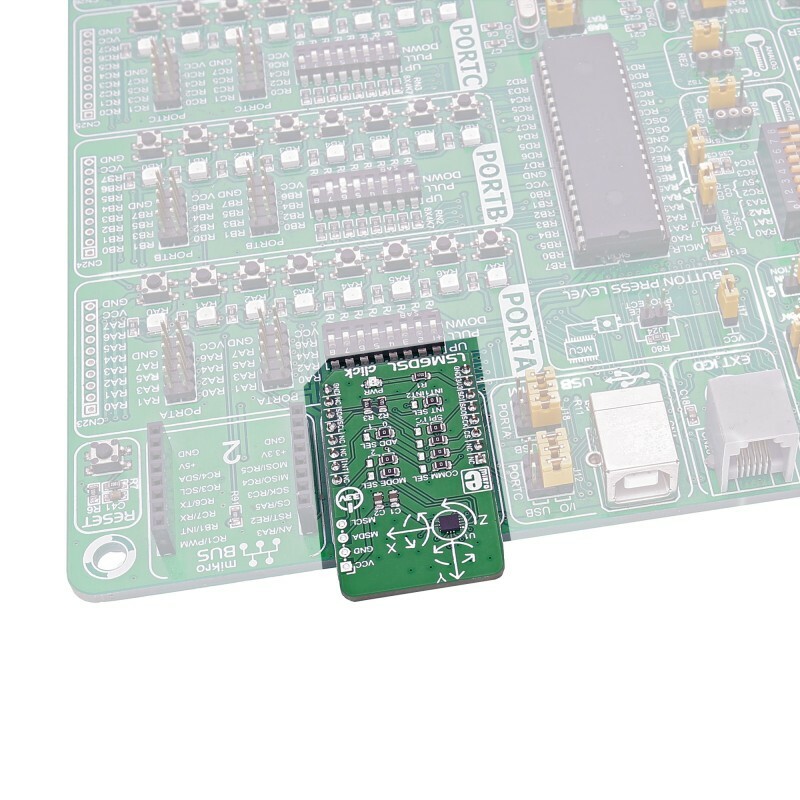 Applications Motion tracking and gesture detection, indoor navigation, vibration monitoring and compensation, etc. 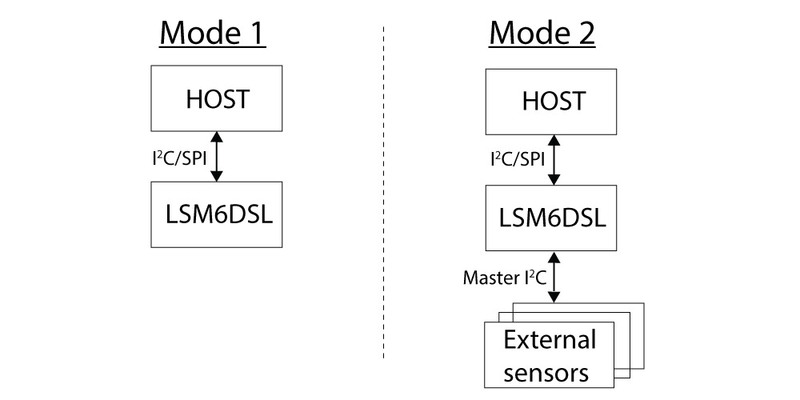 This table shows how the pinout on LSM6DSL click corresponds to the pinout on the mikroBUS™ socket (the latter shown in the two middle columns). 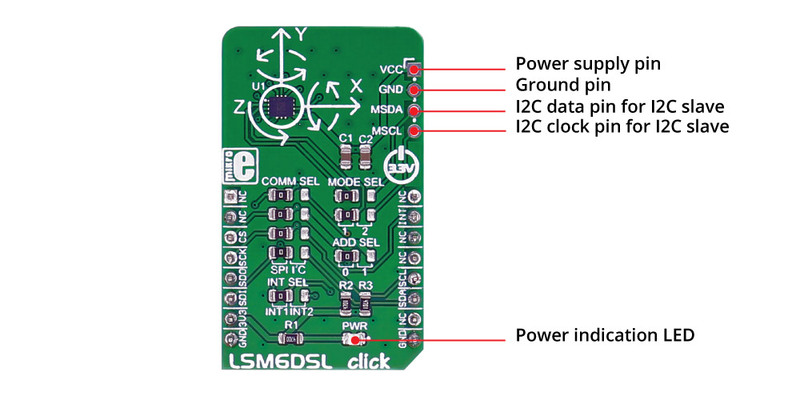 Code examples for LSM6DSL click, written for MikroElektronika hardware and compilers are available on Libstock. 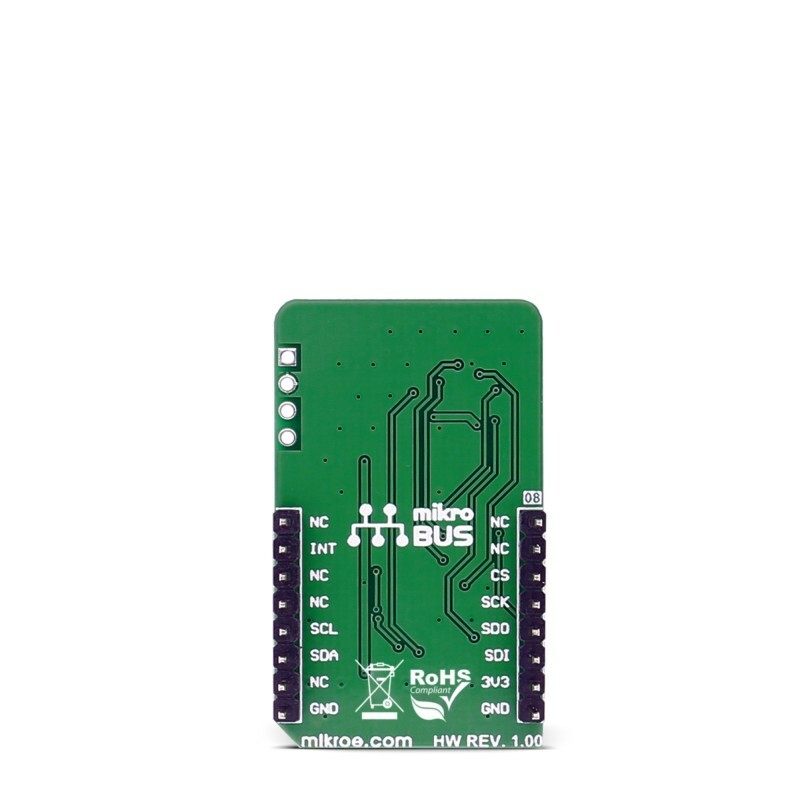 The following code snippet initializes the module, the driver, and peripherals, and then outputs the measured data to UART every two seconds. 12      * rate (104 HZ) and selected full-scale (+-2G, +-245DPS).